Published: July 28, 2014 at 01:33 p.m. Updated: July 28, 2014 at 11:49 p.m.
More news happened over the last week than in the previous three months combined. Seasons have ended due to injury; suspensions have been handed out; long-term contracts have been signed; and position battles have started in full. Forget the NFL Draft season. This is a true football junkie's time of year. Actual football is happening. Jermaine Kearse, Seattle Seahawks: Sidney Rice's surprise retirement opened up a starting job for Kearse. He's surprisingly unheralded considering his heroics in the NFC title game and Super Bowl. Rookie Paul Richardson figures to stay behind Kearse on the depth chart. Teddy Bridgewater, Minnesota Vikings: The hype from OTAs continues. Bridgewater is reportedly splitting reps with Matt Cassel earlier than anyone expected. Norv Turner and others in Minnesota have said that Bridgewater is far ahead of where the team expected him to be. This stands in direct opposition to what we've heard about the other rookie quarterbacks. It wouldn't be a shock if Bridgewater started in Week 1; however, it would be a shock if Bridgewater isn't starting by November. 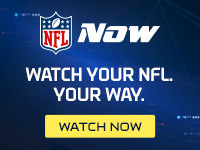 Kenny Britt, St. Louis Rams: You know the Rams are young when Sam Bradford is telling NFL Network's Kurt Warner that the 25-year-old Britt has brought "veteran leadership" to the receiver room. (Titans fans just spit out their beverage of choice.) Even better than the quotes: Britt and Brian Quick were taking the majority of first-team reps at Rams practice Sunday, according to Nick Mensio of Rotoworld. Julio Jones, Atlanta Falcons: We're always skeptical of offseason puff pieces saying a player is all the way back until we see it in training camp. Now we believe it. Jones has reportedly looked "explosive" in everything he does, including stopping on a dime. His snaps have been limited, but the signs here are positive. Other veterans coming off major injuries: So far, so good with many big names across the league. Rob Gronkowski, Vince Wilfork, Sam Bradford, Jeremy Maclin, Brian Hoyer, Reggie Wayne, Tony Romo and Jake Locker have all enjoyed clean, positive starts to training camp. Larry Donnell, New York Giants: Don't feel bad if you've never heard of the man that opened up as the nominal No. 1 tight end in Giants camp. We've heard that the Giants could be using the media to motivate Adrien Robinson, the most talented player they have at the position. Either way, Robinson is reportedly not responding. Donnell or Daniel Fells should be the Giants' starter. David Wilson, New York Giants: He's healthy, catching passes as the Giants' No. 2 running back and reportedly looks explosive again. It's great news for a player whose career appeared to be in jeopardy. The Giants' backfield could be intriguing with Rashad Jennings on early downs, Andre Williams in short-yardage work and Wilson adding some big-play pop. Carlos Hyde, San Francisco 49ers: We hate to call Hyde a "winner" based on the misfortune of his teammates, but there's no denying that Hyde is now slated for a big role in the 49ers' offense. Kendall Hunter, who was slated to have a sizable role, is out for the season with a torn ACL. LaMichael James is out at least a month with a dislocated elbow. Marcus Lattimore isn't ready yet, and there's no telling if he will be this season. The 49ers should throw the ball more often this season, but Hyde is going to touch the ball a lot early in the year in an effort to keep Frank Gore healthy. The Jets' confidence: Remember Rex Ryan trying to keep a low profile this offseason with milquetoast quotes? That part of the season is over. Since camp started, Rex has called himself a "great coach" and noted the "Patriots need to worry about us." Geno Smith expects to be listed among the "top five" quarterbacks of the league. Dee Milliner says he's the best cornerback in the NFL. Calvin Pace says the Jets will have the best defense in the NFL. Perhaps Rex understands that this team celebrated going 8-8 a bit too much. The bar has been raised. The Indianapolis Colts' backfield: Vick Ballard's torn Achilles injury was the biggest bummer from the first week of training camp. It came only two days after being cleared from his torn ACL to practice fully in training camp. Ballard is a well-liked player that maximized his talent as a rookie. He was expected to provide quality depth alongside Trent Richardson and Ahmad Bradshaw. Richardson already has a nagging hamstring injury. Jace Amaro, New York Jets: The rookie tight end is not adapting to the pro game quickly. We've read rumblings of this throughout the offseason, and NFL Media's Kimberly Jones said Amaro's first week of camp has "not been impressive." Starter Jeff Cumberland and Zach "Mr. July" Sudfeld might both be ahead of Amaro. The Tampa Bay Buccaneers offensive line: When former Bucs general manager Mark Dominik signed Carl Nicks to a "$47.5 million" contract two years ago, Nicks was one of the best interior linemen in the league. He barely played for Tampa and is fighting off a career-threatening toe injury after the two sides "mutually agreed" to part ways. Nicks doesn't want to retire yet, but it doesn't look good. The Bucs' line has a lot of questions with a raft of new starters and first-time offensive coordinator Jeff Tedford. 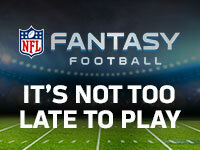 Cecil Shorts, Jacksonville Jaguars: The team's top wideout underwent groin surgery in December. He was limited with calf and hamstring injuries throughout OTAs. And then he suffered a Grade 2 hamstring strain on the second day of training camp. The assumption is that Shorts will be "fine" in plenty of time for the season, but he's barely been able to string together practices for the last eight months. With Shorts out, rookies Marqise Lee and Allen Robinson are running as starters. Odell Beckham, New York Giants: It's not a good sign when Tom Coughlin has called you out twice in five days. Beckham can't shake a hamstring injury, and it might sink any chance Beckham had to pass Rueben Randle on the depth chart. The Giants need receiving options, especially with their tight end issues. Justin Blackmon, Jacksonville Jaguars: The suspended Jaguars receiver's story is a sad one. He's struggling with substance abuse, and it's fair to wonder when his indefinite suspension from the NFL will end. It's rare for a player to be suspended for more than one season, but it wouldn't be a surprise in this case. Holdouts: Any huge fans of holdouts have to be disappointed this year. All the rookies were signed before training camp started. Andre Johnson, Jamaal Charles and Vernon Davis showed up to camp on time. Marshawn Lynch threw a curveball by skipping the start of Seattle Seahawks camp, but the attention over the last week has mostly been on the field. Imagine that. Chris Wesseling's future health: Our intrepid writer has vowed on The Around The League Podcast to eat his softball pants if Brian Hoyer starts the season over Johnny Manziel. That prediction looked somewhat safe back in May. Early signs from training camp don't look promising, for Manziel is exclusively taking second team reps and raising questions about his offseason progress.